Hand-Painted excellence. 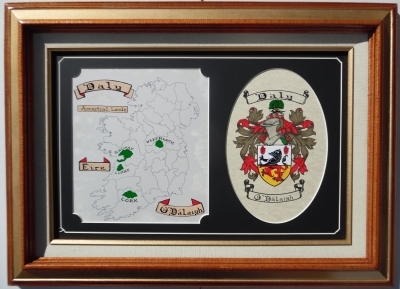 The coat of arms, expertly researched and hand-painted, is matched with a hand-painted map of Ireland, showing the original family lands. Our years of knowledge, of Irish family history, come to the fore in this fine family heirloom. 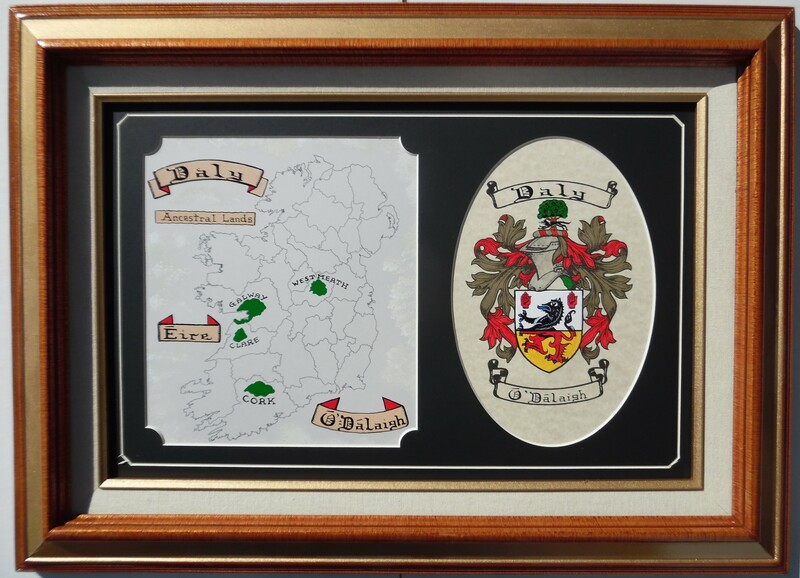 Your choice of quality hardwood frame completes the story of your Irish roots.